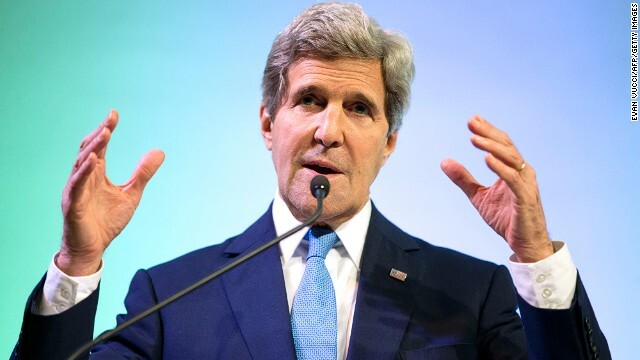 A senior administration official told CNN that Secretary of State John Kerry will raise the specter of sanctions on the Ukrainian government in remarks in Paris within the next couple hours. The official said Kerry will reiterate Vice President Joe Biden's message to Ukrainian President Viktor Yanukovych that his government must protect its people and that Kiev can either choose dialogue and compromise or violence and mayhem. The official said the U.S. is closely coordinating its response with allies and friends, including the very real potential of sanctions. Another threat from the Obama government? They must be planning not to sell tablets, apple phones, frozen pizza and chicken wings to members of the government! These clowns did so well with Syria. Is this a do over or is U.S. foreign policy know "sanctions"? What it is Marty, is the sick old politics of hunger the the right-wing thugs in Washington keep applying over and over again in order to starve other countries into submission and compel them into carrying out the will of these thugs. Moreover, the fact that John Kerry is talking about "sanctions" is further proof that these thugs are aspiring to take over Ukraine in one way or another! Did you mean left wing thugs or are you confused about the political party the President belongs to? No Rich, I did mean right-wing thugs as both the Democrat and Republican parties are on the right. In Washington, there are very few liberals or moderates. Besides, film director Oliver Stone already said that Barack Obama is a spineless politician who's afraid of the right-wingers so he simply threw in with them.